La PyDataBCN 2017 se celebró del 19 al 21 de Mayo, en Barcelona (ESADE). Handling confidential data attracts unwanted attention from hostile attackers. We will go over the basic concepts of security threats, show many examples of real attacks, and focus on how to defend ourselves and secure our data. 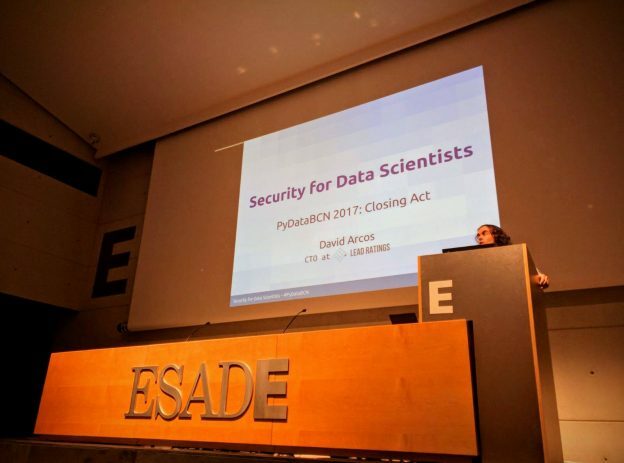 This entry was posted in General and tagged Barcelona, Data Science, ESADE, Lead Ratings, PyData, Python, Seguridad, Slides, Video on July 10, 2017 by David Arcos. La EuroPython 2016 se celebró del 17 al 24 de Julio, de nuevo en Bilbao. Does Django scale? How to manage traffic peaks? What happens when the database grows too big? How to find (and fix) the bottlenecks? We will overview the basics concepts, we’ll use metrics to find bottlenecks, and finally we’ll see some tips and tricks to improve the scalability and the performance of a Django project. This entry was posted in General and tagged Bilbao, Django, EuroPython, Lead Ratings, Python, Slides, Video on August 1, 2016 by David Arcos. El pasado Julio se celebró la EuroPython 2015 en Bilbao. Case study of Immfly’s Wireless In-Flight Entertainment system, built using Python. This talk will show the basic requirements for the system and the architecture decisions we took. Besides, running software at 10.000 meters implies new unexpected challenges, different from the ones we encounter day-to-day. We’ll focus on how we solved them. 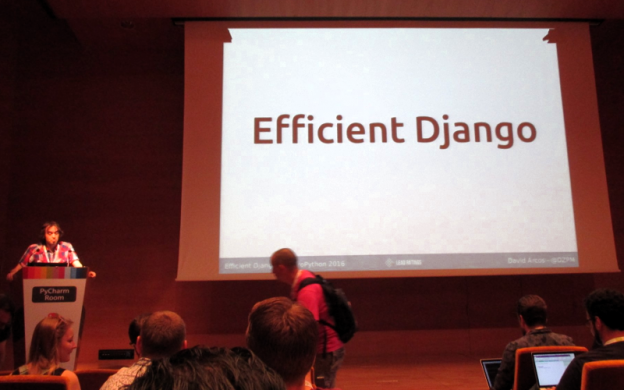 This entry was posted in General and tagged Bilbao, Django, EuroPython, Immfly, Python, Slides, Video on August 17, 2015 by David Arcos. El pasado Noviembre se celebró la PyConES 2014 en Zaragoza. Tuve la posibilidad de presentar una charla, titulada “Python on a Plane“. En ella se explican los principales retos y dificultades que ha supuesto montar la plataforma de Immfly, y cómo se solucionaron. La charla explica en el caso de uso de Immfly: un sistema de entretenimiento, durante el vuelo, en el que el pasajero se conecta a una red wifi mediante su dispositivo favorito, y puede ver películas, leer revistas, consultar datos del vuelo, hacer reservas en destino, y mucho más. Veremos los retos técnicos que se presentan en cada uno, así como las herramientas Python que se han usado para resolverlos. Para acabar, las fotos del evento. 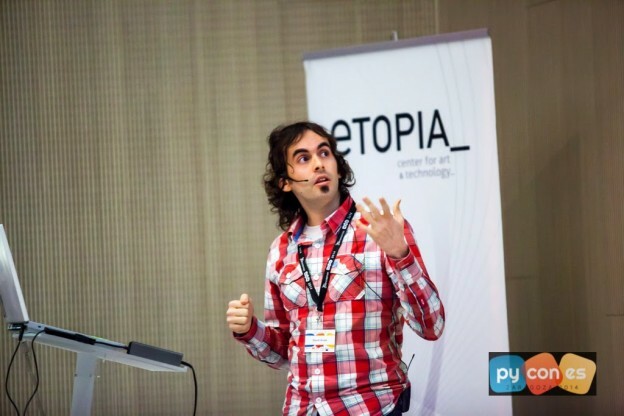 This entry was posted in General and tagged Django, Immfly, PyConES, Python, Slides, Video, Zaragoza on April 9, 2015 by David Arcos.